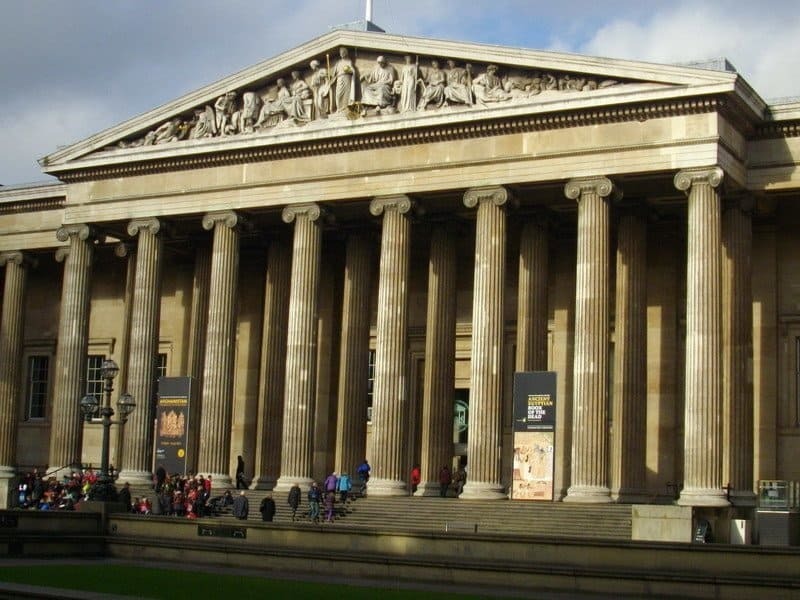 Where Would You Rather See the Elgin Marbles? With the London Olympics less than 50 days away it is not surprising that there is yet another attempt to bring into the spotlight the ongoing campaign for the return of the Elgin Marbles to Athens. 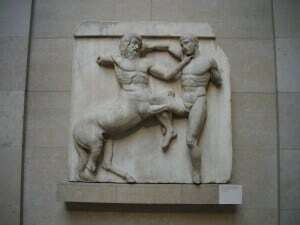 During 2004 when the Olympic Games were held in Athens campaigners suggested that that might be a good time for the United Kingdom Government to make a gesture of repatriating the Elgin Marbles. It failed. 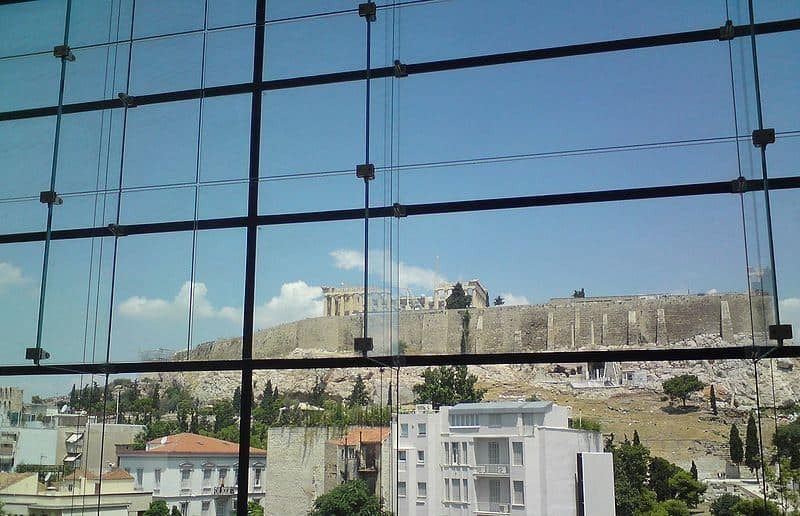 As did any attempt to bring the issue to a conclusion on the occasion of the opening of the new state-of-the-art Acropolis Museum in 2009. Does the staging of the Olympic Games in London, the current home of the Elgin Marbles, make it any more likely that this event will provide a catalyst for change in 2012? Next week the British Committee for the Reunification of the Parthenon Marbles will be holding a meeting where they will renew their case for the return of the Elgin Marbles marbles to Greece. To coincide with this event the journal of the UK Museums Association wants to know what we think, and have produced an online poll: should the Parthenon Marbles be returned to Greece? Although the point of the poll is not clear (there is no target audience and judging by the three messages I have received inviting me to vote, the result will be nothing but a matter of which side musters up the greatest support), it is the comments that are revealing. For instance, one anonymous member of the Museums Association rightly suggests we should be asking why the Elgin Marbles are still in London. Given the high profile returns of cultural property that have taken place already, the more sophisticated polls that show overwhelming British support for the return of the Elgin Marbles to Athens, a Labour Government that promised the return of these sculptures before elected in 1997, the 2009 opening of a spectacular museum in Athens for the sculptures of the Parthenon, the question of why the Elgin Marbles are still in the British Museum should be at the top of the agenda at next week’s meeting. My own interest in the repatriation debate goes back to research I carried out on the so-called ‘Benin Bronzes’ that were looted by the British Army during their raid on the royal city of Benin in 1798 and now in various museums and private collections around the world. For a short time, I was the Campaign Director for a rival organisation to the British Committee for the Reunification of the Parthenon Marbles. 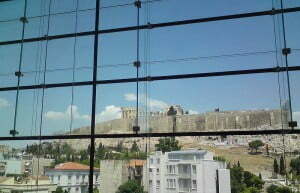 Is this where you would rather see sculptures from the Acropolis? And, I am more than happy to nail my colours to the mast and state I believe the Elgin Marbles should be returned to Athens. I would much rather see the sculptures in the wonderful new museum in Athens, in sight of the Acropolis and the building they once adorned, than in the British Museum – where they are displayed in the most uninteresting way. But, like the commentator I mentioned above and the various points I listed, I am more interested in why the Elgin Marbles are still in London. Part of the reason is I believe because there is currently no sustained, informed debate about the repatriation of cultural material. This is in turn a product of how the two sides currently conduct their campaigns. They follow the model of a typical media campaign: each side sets up their ‘key messages’ (usually three – because according to the PR gurus the general public can not juggle more than three concepts at a time without becoming confused) and then attempts to brow beat the public into believing their key messages are right. Such campaigns are probably suitable for citizens opposing the opening of a new runway at Heathrow, but they are wholly inappropriate for the complex discussion about the place of cultural heritage in our society today. Anything that muddies the water (such as historical detail, cultural politics) is removed from statements, comments or discussions – not only because we are easily confused, but also in an attempt to define a message that is unchallengeable by the opposition. Consequently we end up with bland competing ‘key messages’ that are at best meaningless and in fact wrong. (An example of this is the ‘floodgates’ objection.) And this applies equally to both the British Museum (and other museums dismissing repatriation claims) and the various campaigning organisations. Less than a year ago the British Museum explicitly claimed it was ‘a museum of the world for the World’. Clearly they have recognised the naivete of this statement and hence removed it as such, but the sentiments behind that statement are still used to justify why they refuse to return the Elgin Marbles to Greece. Their justification may be more nuanced today, but it is no more correct. That more people visit the British Museum each year than the museum in Athens is a strangely spurious observation that smacks of desperation if nothing else. Paris welcomes the largest share of the world’s tourists – should all the Universal Museums relocate there? The Elgin Marbles can be seen on display in the Duveen Gallery of the British Museum. Most of the remaining sculptures have been removed from the Parthenon, and are now on display in the Acropolis Museum in Athens. There are many books written about the Elgin Marbles. The one I would recommend, that I believe is the most readable and insightful is The Parthenon Marbles: The Case for Reunification by Christopher Hitchens, and is available on both Amazon.com and Amazon.co.uk. I would like the Elgin marbles to return to Greece. Selbstverständlich in Griechenland – das gleiche gilt auch für die Obelisken, die nach Ägypten zurückgebracht werden sollten. Und der Pergamonaltar im Pergamonmuseum?